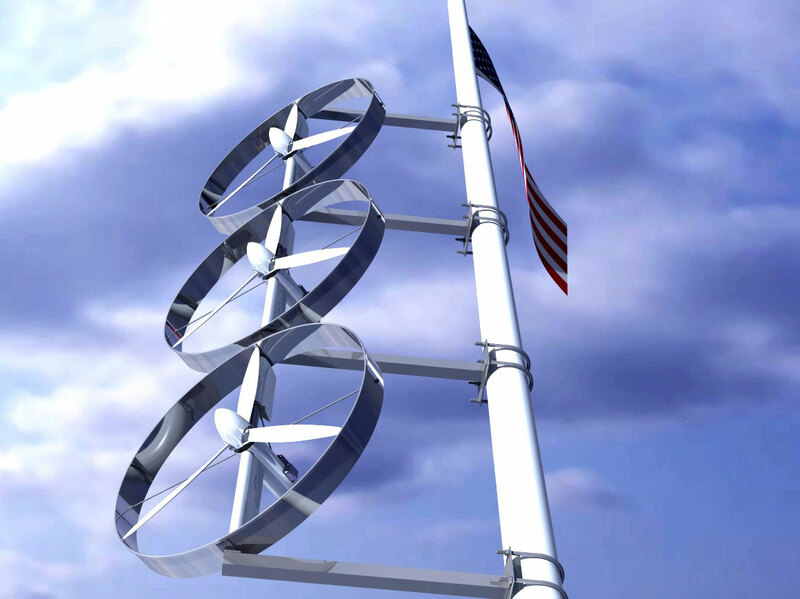 Small wind turbines, and especially urban-mounted turbines which require no dedicated pole, have garnered great public enthusiasm in recent years. 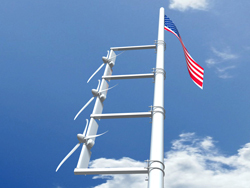 This enthusiasm has fueled widespread growth among energy conservationists, and estimates predict that the power produced nationally by small wind will increase thirty-fold by 2013. 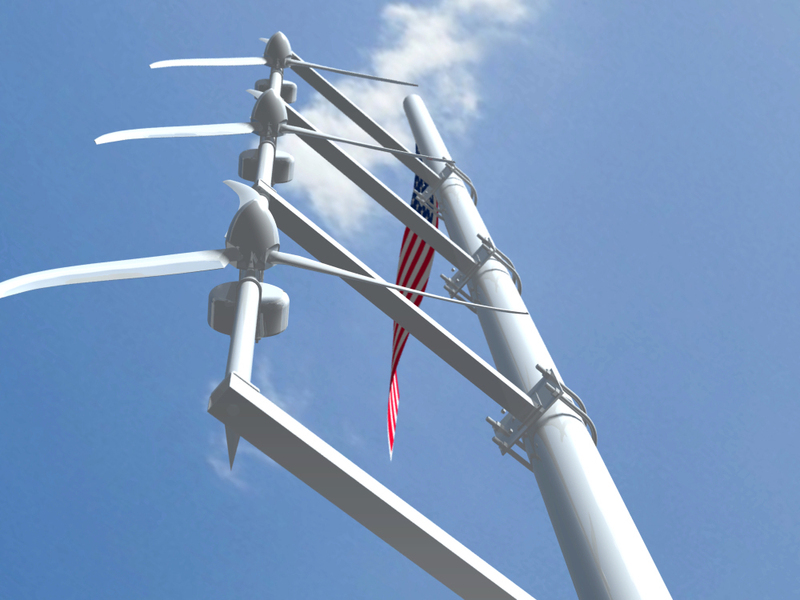 Unfortunately, most of the wind resources currently available have been designed for larger, rural-mounted turbines; thus, they are not well suited for this nascent market. 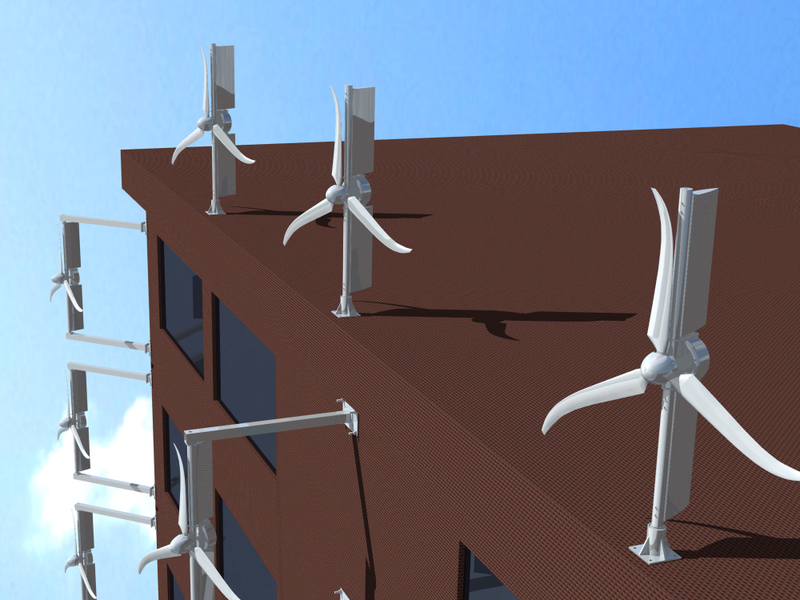 A consequence of this is that many potential urban small wind turbine owners over-predict their local wind resource, which is both costly and inefficient. According to a recent study published by Encraft Ltd., small wind turbines mounted to buildings far underperformed their rural pole mounted counterparts. 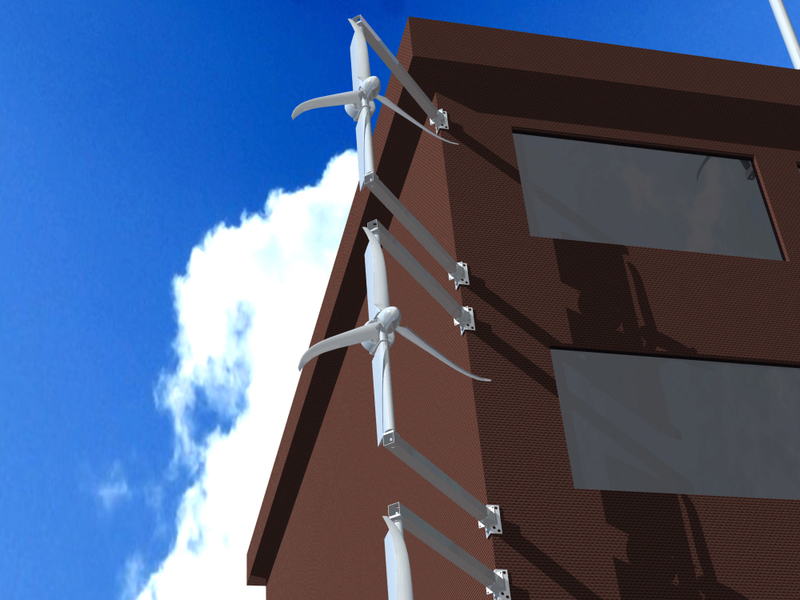 As a proposed solution to this problem, this project introduces the concept of a Web-based Wind Assessment System (WWAS). 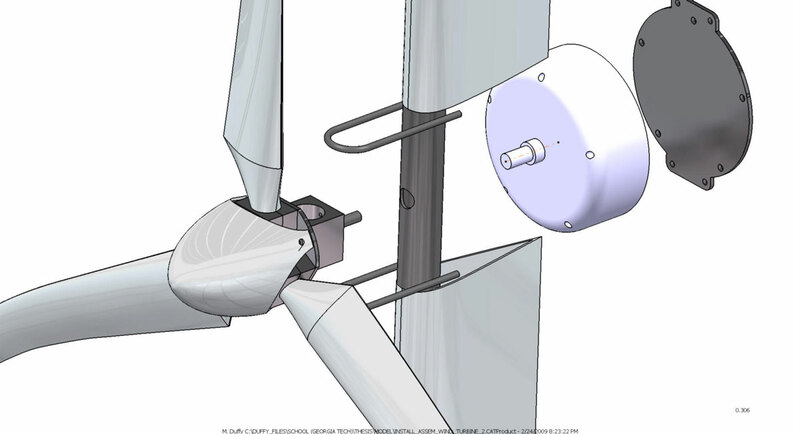 Through an economically viable wind measurement structure, this system converts wind resources into a web-based, user-friendly interface, for prospective small wind turbine owners to use. The WWAS prevents potential clients from investing in a system that may not be viable for their location. 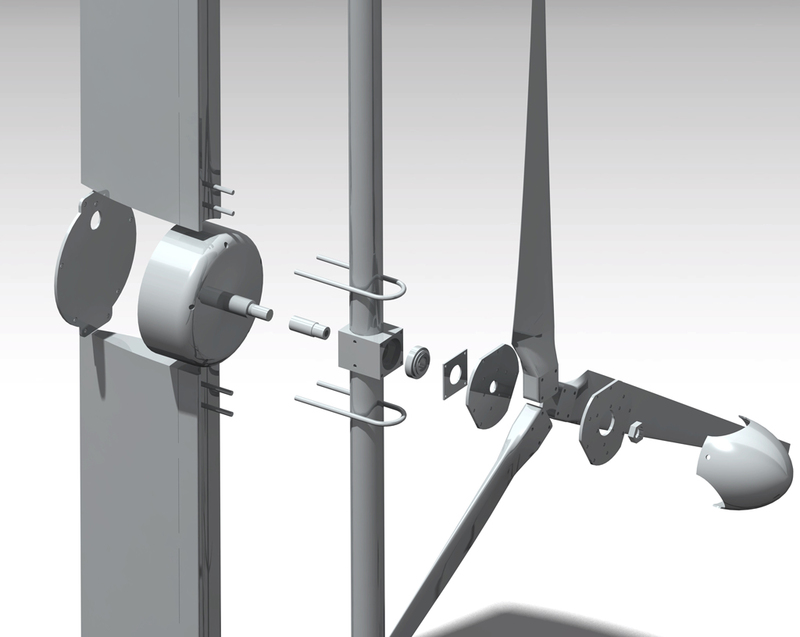 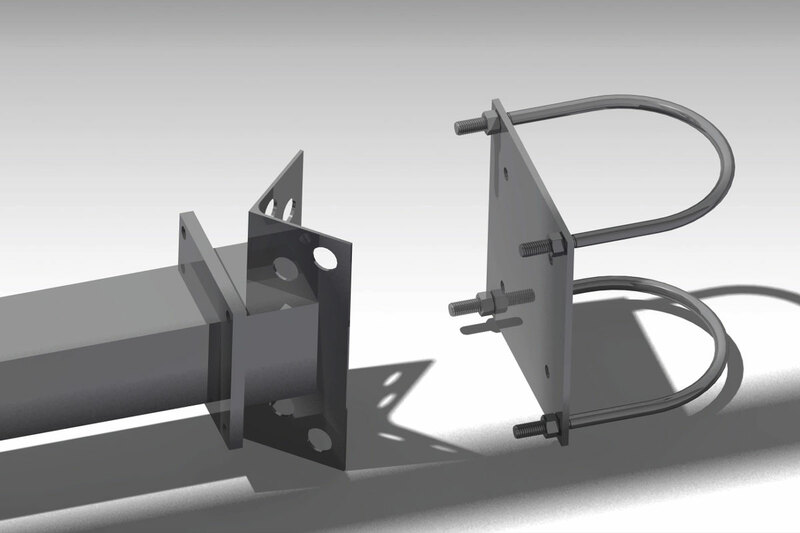 In addition, a small wind turbine is designed in this project, which has a unique modular mounting system, allowing the same baseline wind turbine to attach to various structures using interchangeable mounting hardware. This includes such accessible urban structures as street lights, building corners, flag poles, and building walls, among others. 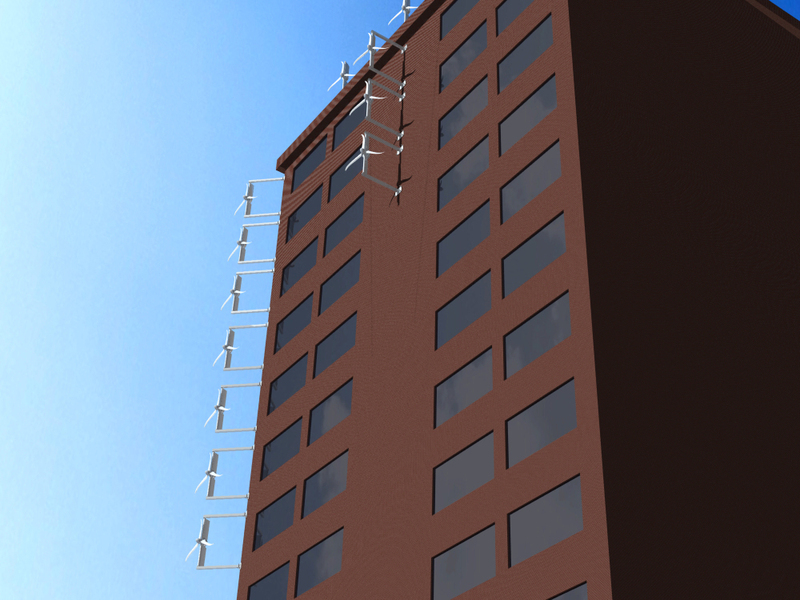 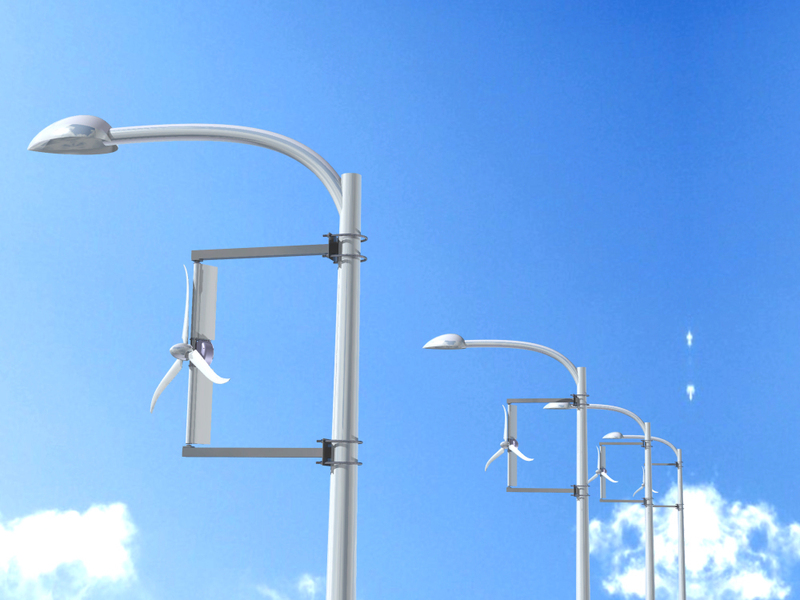 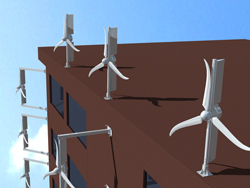 This design also utilizes concepts that address some of the challenges associated with mounting small wind turbines to existing urban structures. 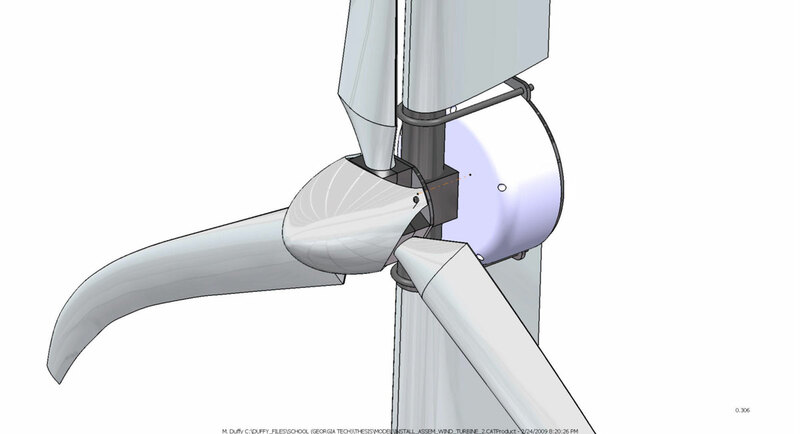 These concepts include: swept tip blades and lower RPM to reduce noise; vibration suppression using rubber shims; a netted duct to protect wildlife; and a direct-drive permanent magnet generator to ensure low starting torque. Finally, the cost of this system is calculated using off-the-shelf components, which minimize testing and certification expense. 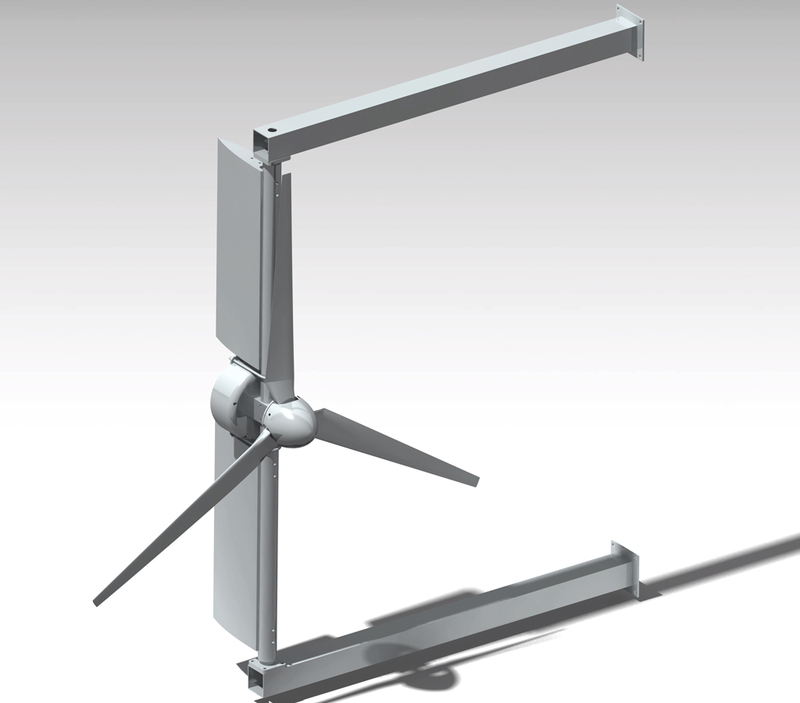 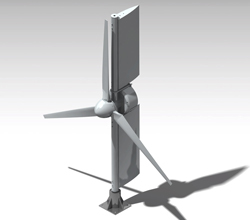 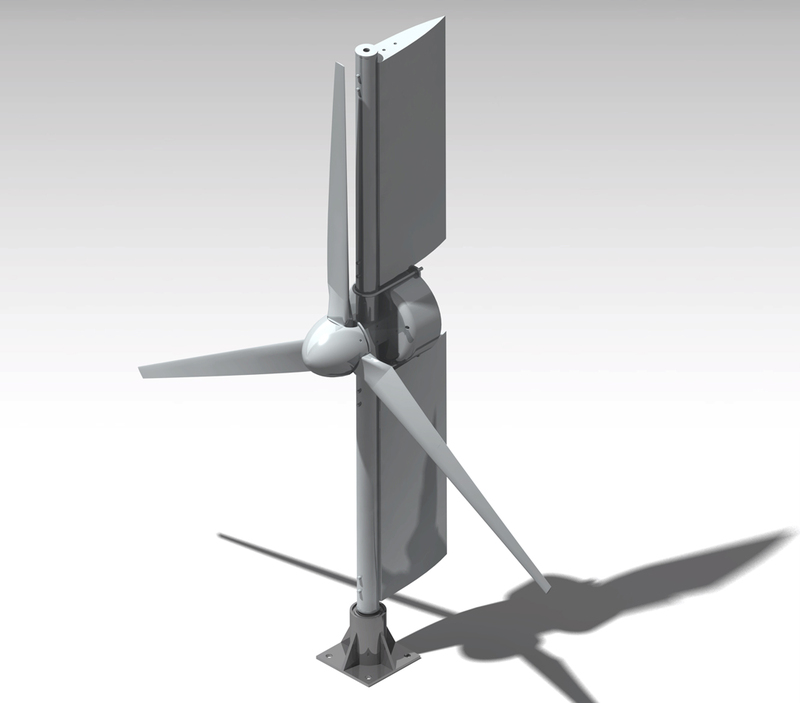 This small wind turbine system is designed to be grid-connected, has a 6 foot diameter rotor, and is rated at 1 kW. This design features a unique modular interchangeable mounting system. 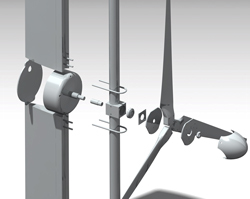 The cost for this complete system is estimated to be $2,050. 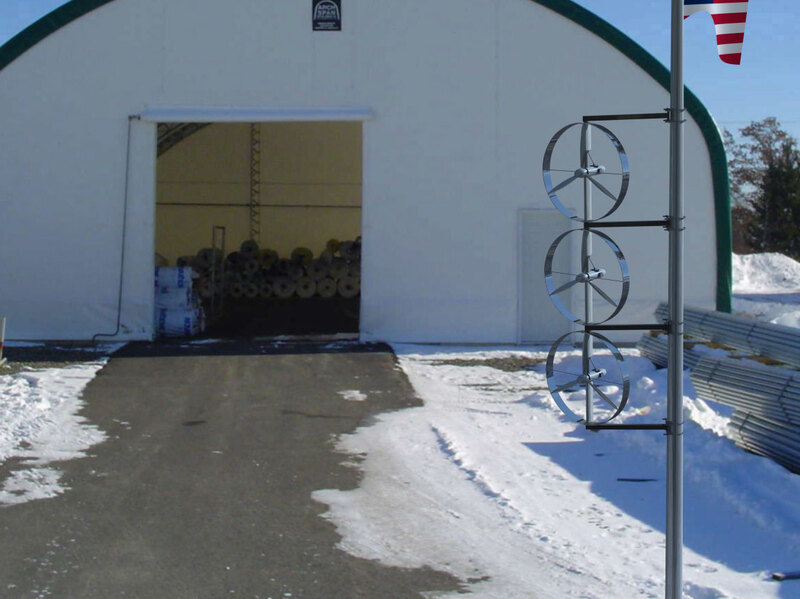 If a users’ site has an average wind speed of 14 mph (6.5 m/s), this system will generate a return on investment in 8.5 years, leaving over 10 years of profit. 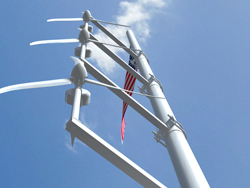 The profit for this system, at this sample average wind speed, yields over $4,000 during its 20-year design life, which is a two-fold return on investment. 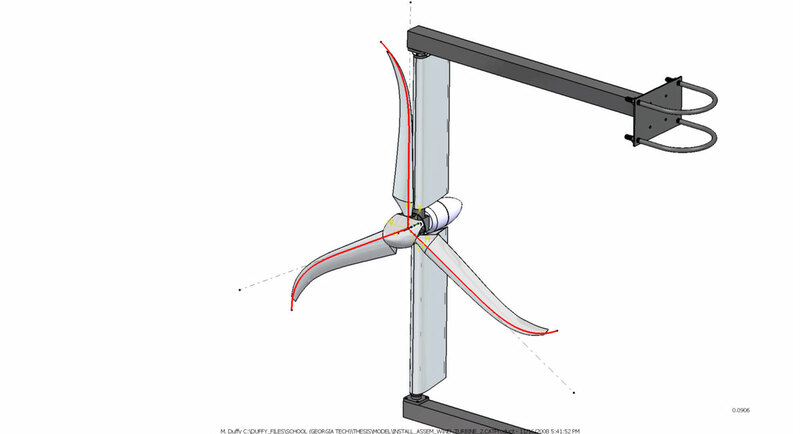 This project has implications for various stakeholders in the small wind turbine market, including designers, engineers, manufacturers, and potential customers. 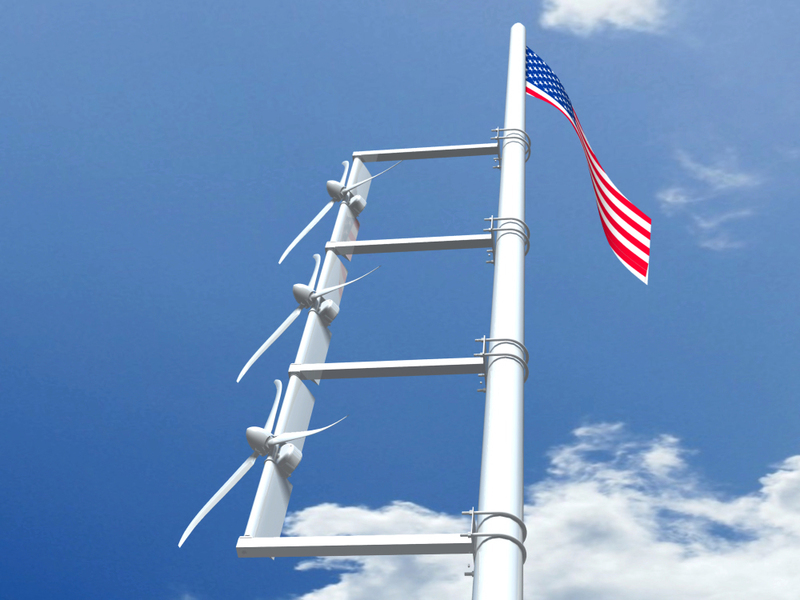 Equally important is its potential role in guiding our future national—even global—energy agenda.